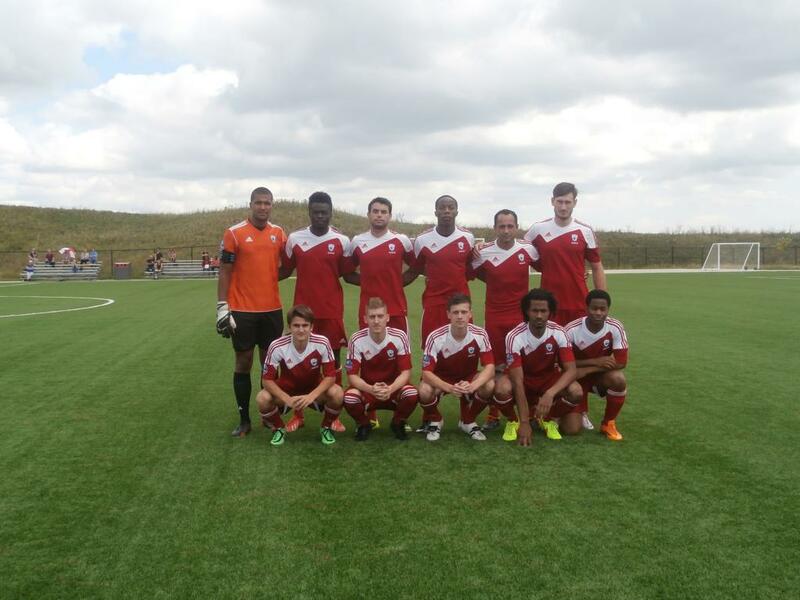 TFC Academy extended their undefeated streak to ten games on Sunday afternoon, rebounding from a slow start and an early one goal deficit to soundly defeat Master's FA Saints by a score of 8-2, in a match that saw MFA finish the match with only eight players as a result of three players being sent off by referee Scott Decker in the second half. Master's entered Sunday's match feeling very confident after defeating Durham United on Friday evening by a score of 3-1, and having played their most complete ninety minutes of football all season. The Saints carried over their positive play into this match at TFC's Kia Training Ground, tallying a twelfth minute goal by Franck Koue and coming agonizingly close to adding to that lead on a couple of occasions. However, TFCA forward Luca Uccello reversed the visitor's early momentum with two quick back to back goals in the twenty-fifth and twenty-sixth minute to give the hosts a 2-1 advantage into the halftime break, a lead they would not relinquish the rest of the way. 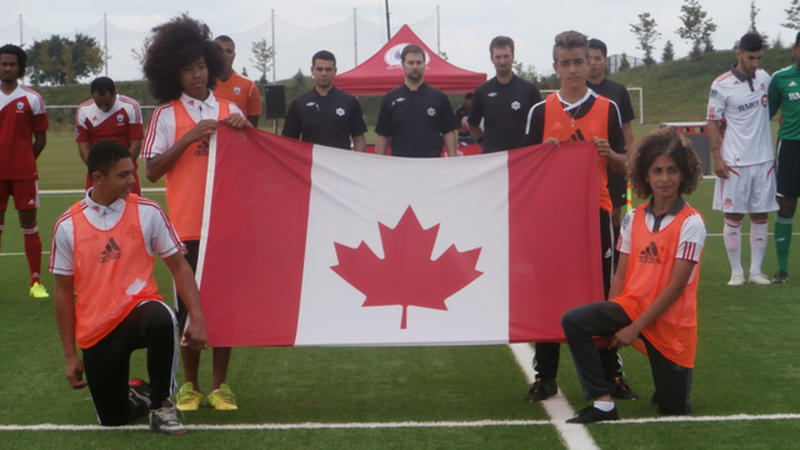 TFCA wasted no time extending their lead in the second half, thanks to goals by the team’s newest signing, Anthony Osorio (younger brother of Toronto FC midfielder Jonathan Osorio) and the league's leading scorer Molham Babouli. Those goals came in the forty-eighth minute and fifty-fourth minute, respectively. Marcos Nunes then made it 5-1 for the home side in the sixty-second minute. Shortly thereafter, Master’s saw two key players dismissed from the match. Simone Orlandi saw straight red for a tackle from behind that was ruled as serious foul play. Koue was then cautioned by the official for dissent. This was Koue’s second caution of the match, thereby ending his day as well. 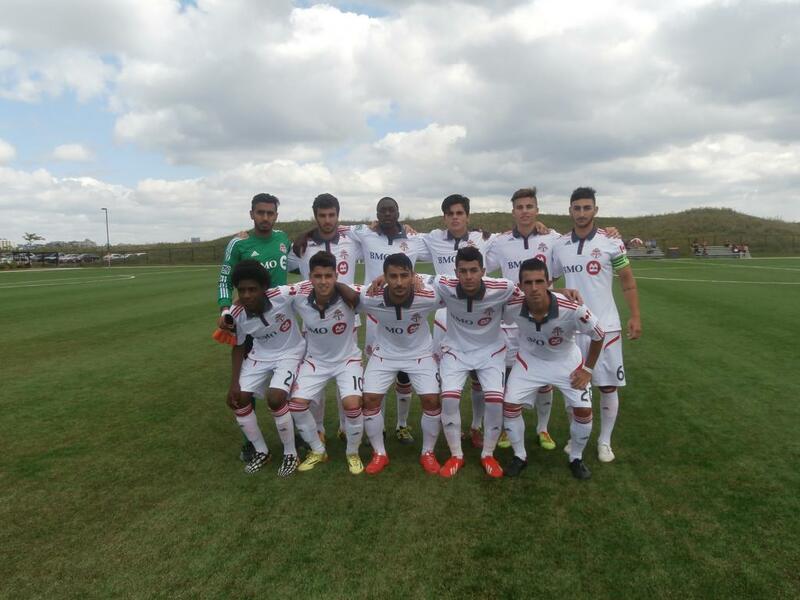 Ahead by four goals, and facing an opponent reduced to nine men, it would have been easy for TFCA to simply coast over the last twenty-five minutes, but they continued to attack with Babouli scoring his second goal of the match in the seventy-first minute, and Matt Stowell adding another in the eighty-second minute to make it 7-1. In between those two goals, MFA’s Michael Bershov was shown his second yellow card in the eightieth minute, leaving the team with just eight men. Despite the numerical disadvantage on the field, Tyrell Rayne pulled one back for MFA in the eighty-seventh minute, with a strong run down the wing and a quality finish. However, Uccello answered right back for TFCA one minute later, closing out the scoring and giving himself an impressive hat trick on the day. With the win, TFCA improves its record to seven wins, three draws and no defeats - good for twenty-four points from ten games - and they move into a tie for first place in the league table with Sigma FC, although Sigma have played two more matches thus far in the season.